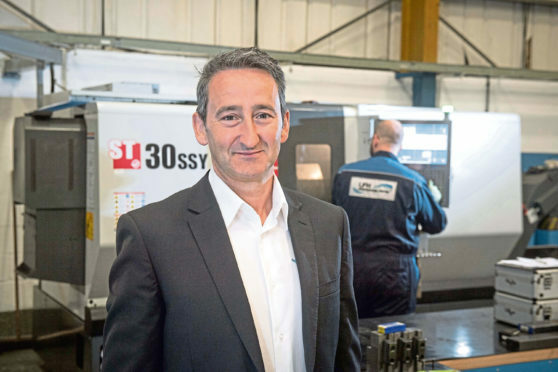 Ellon-based LFH Engineering achieved sales of £3 million for the 2017-18 financial year, an increase of 8% on the previous year. With a workforce of 34, the company specialises in the design and manufacture of diesel engine coolant pumps. It offers full in-house pump production, repair and refurbishment services. Around 75% of the company’s business comes from overseas markets in Europe, North America and Asia, including ship repair and shipbuilding, the nuclear energy sector and the locomotive industry. Les Hill, chief executive officer of LFH Engineering, said: “The strategic decision to attend a number of international shows and exhibitions as far afield as Shanghai, Singapore, St Petersburg and Rotterdam has been a huge success, listening to what customers want. LFH has also invested in a further six-figure upgrade of its facilities in Ellon, which involved an overhaul of its stores area and the introduction of the latest automated storage and stock retrieval vending machines.